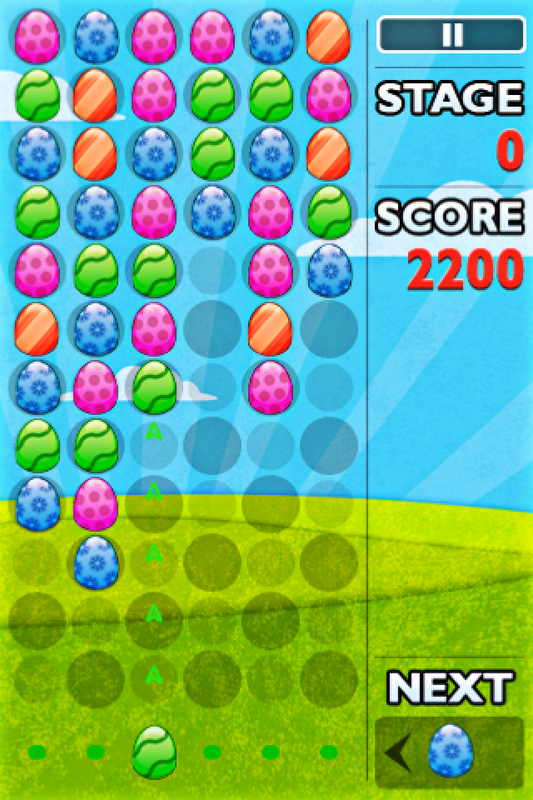 Egg drop blast and match arcade fun! This game is highly recommended to all fans of puzzle and match three games. A new and fun challenging twist on the "falling blocks" and match 3 style games. You'll blast your eggs upwards to form 3 match lines. 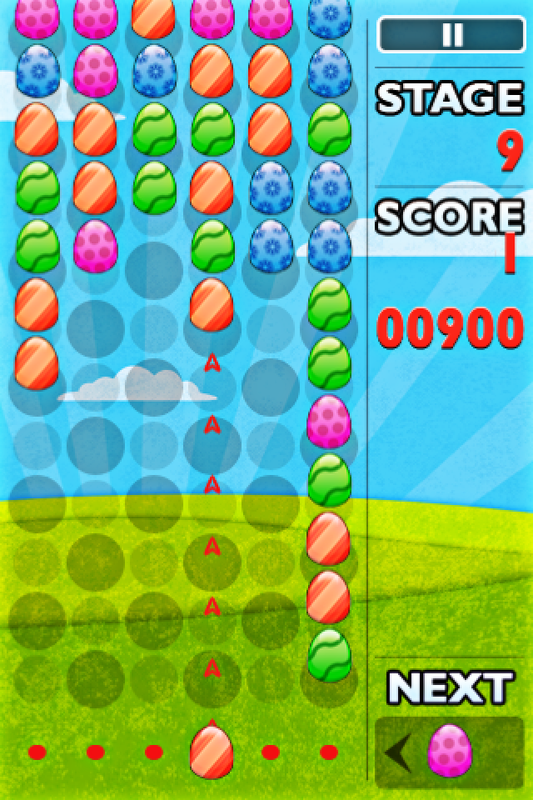 More eggs will keep falling as the game gets faster and the stages get more intense! 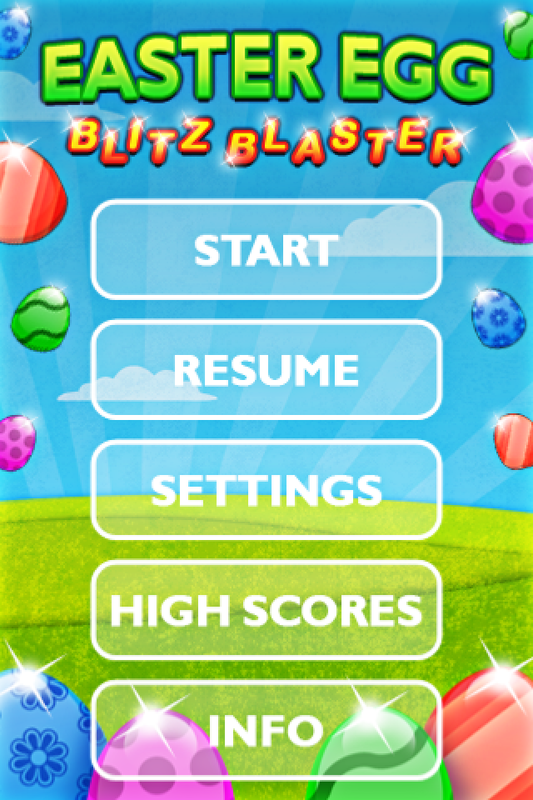 Easter Egg Blitz Blaster is a beautifully illustrated match three puzzler. 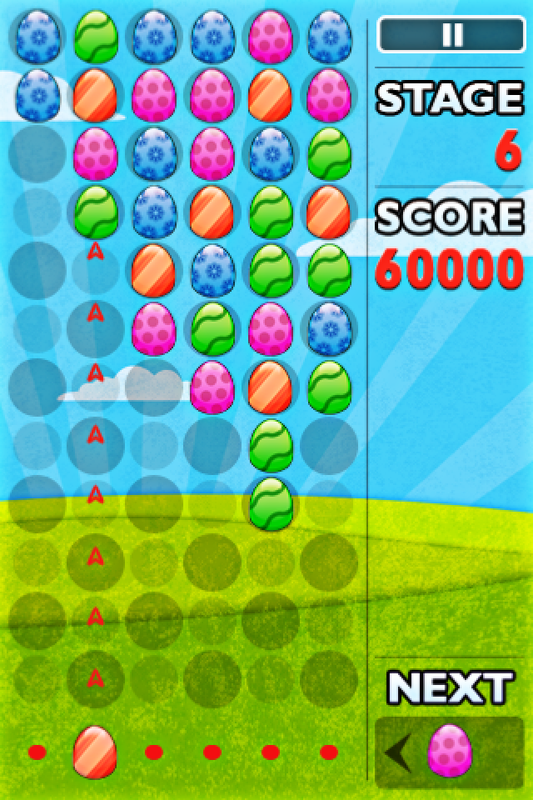 Combine 3 or more like-colored eggs to keep clearing them as they fall from the skies. Clear eggs vertically, horizontally, and diagonally by forming groups of three or more of the same-colored eggs. The bigger the chain of colors, the higher the score. Play different modes to sharpen your skills. 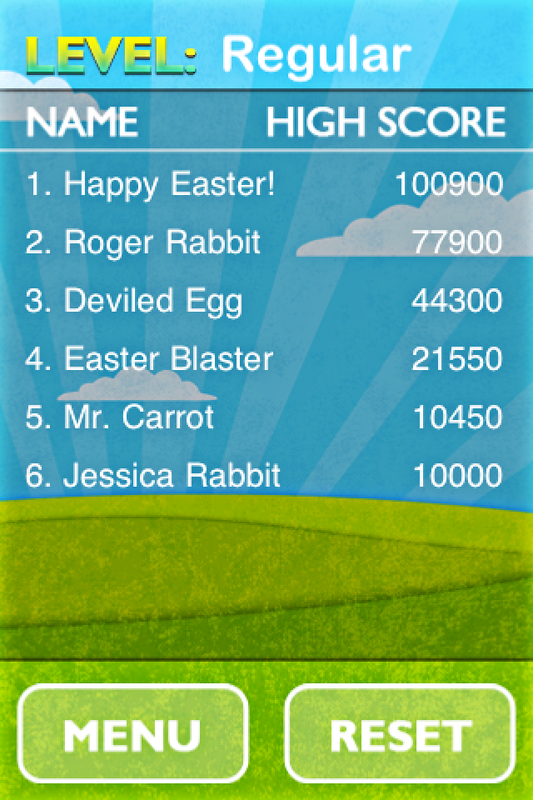 REGULAR mode will increase speed as you advance to the next stage. LOCKED mode will let you pick the stage to play so you can practice at the speed and pace for as long as you can survive! Please connect with us we would love to hear from you.